George Pullman was an American industrial businessman who developed the railroad sleeping car and built a big business with it. He was one of the last industrialists (someone who owns and operates a large-scale business) to operate a company town. George Mortimer Pullman was born on March 3, 1831, in Brocton, New York, but his parents soon moved to Portland, New York. After attending public schools, his formal education ended at the age of fourteen, shortly after the death of his father. Pullman then went to work in a general store and became the main source of income for his family. In 1848 Pullman joined his older brother in Albion, New York, where he worked as a cabinetmaker. In 1853 Pullman became a general contractor and helped move several buildings that stood in the way of a project to widen the Erie Canal. (The Erie Canal is a key waterway in Lake Erie that connects the Great Lakes and opened the region to shipping.) Upon completion of that work in 1855 he moved to Chicago, where he entered the business of raising buildings onto higher foundations to avoid flooding—a problem caused by much of Chicago's land area being only a few feet above the level of Lake Michigan. passenger cars into sleepers, using the structure of an upper bed hinged to the side of the car and supported by two jointed arms. Business grew slowly but steadily until the Civil War (1861–65), when Confederate (the South) and Union (the North) forces clashed over several issues, mainly secession, or the Confederacy's desire to leave the Union. In 1862 Pullman went to the Colorado gold fields, where he operated a trading store and in his spare time continued to develop his sleeping car. Returning to Chicago, Pullman and Field constructed the "Pioneer" sleeping car, which became a classic in rail history. Its first trip brought Abraham Lincoln's (1809–1865) widow from Washington, to Springfield, Illinois, shortly after the president's assassination. Other railroads began to use the Pullman car. In 1867, the year of Pullman's marriage, the Illinois legislature (governing body) began to regularly use the Pullman Palace Car Company, which eventually became the world's largest such building concern. At first, Pullman contracted for his cars (hired other companies to build them); in 1870 he began construction in Detroit, Michigan, although the headquarters remained in Chicago. The Pullman company always rented sleeping cars; it never sold them. By 1880 Pullman owned the rights to land in the Calumet region of Chicago, where he constructed a new factory and a company town—a town where the chief employment for the town's residents comes from one company. Deeply disturbed by depressing city conditions, he believed his town could be a model of efficiency and healthfulness, though it was planned to return a 6 percent profit. The town cost over $5 million to build, and a serious strike in 1894 marked the beginning of the separation of factory and town. 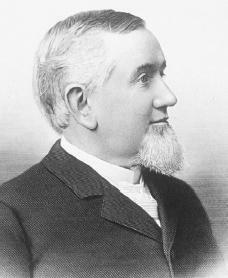 Pullman died in Chicago on October 19, 1897. Husband, Joseph. The Story of the Pullman Car. Chicago: A. C. McClurg, 1917. Reprint, Grand Rapids, MI: Black Letter Press, 1974. Leyendecker, Liston E. Palace Car Prince: A Biography of George Mortimer Pullman. Niwot: University of Colorado Press, 1992. Mencken, August. The Railroad Passenger Car. Baltimore, MD: Johns Hopkins Press, 1957. Reprint, Baltimore: Johns Hopkins University Press, 2000. Myers, Elisabeth P. George Pullman: Young Sleeping Car Builder. Indianapolis: Bobbs-Merrill, 1963.